Looking to go to a Tampa Bay Rays game with some friends but don’t know where to start? Relax, we’ve got you covered! 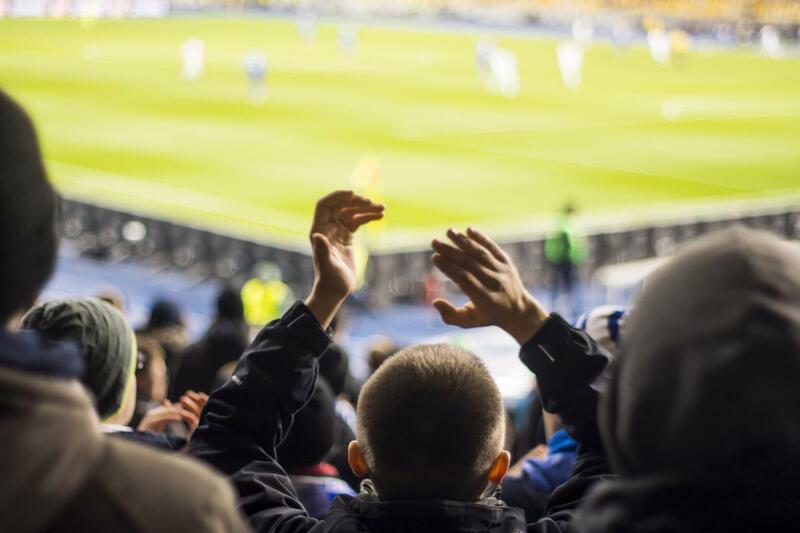 Figuring out all the logistics can be stressful, but our guide can help you figure it out so you can simply enjoy watching the game at Tropicana Field in St. Petersburg. Tropicana Field has many different ticket options for Tampa Bay Rays games. Whether you’re going with a group, for a special occasion, or just with a special someone, there’s seating for all different types of occasions. Their 200 Level party area located down the right field line accommodates parties of 35 or more and features stadium seating and a private area to chat. Their Seminole Hard Rock Tampa 162 Landing is perfect for those special business meetings in which you need to impress and keep clients happy. It hosts up to 75-136 guests and is located right next to the visiting bullpen. These are just two of the party areas they have available for guests. You can email groupsales@raysbaseball.com or call (727)825-3406 for more information. Rays Club starts at $125, Lower Box Preferred starts at 50$, Left Field Ledge starts at $50, Lower Box starts at $38, 200 Level starts at $18, Lower Corners start at $15, and GTE Financial Party Deck start at $15. They also have many different types of specials including family packs, kids specials, senior specials, and student tickets. Students with a valid .edu email address can register and receive special discounts and offers stating tickets at $5. Their 7-Eleven special includes tickets at $7.11 for all Friday home games. All you have to do is visit a participating local 7-Eleven store and get the Friday night discount coupon. This promotion began on March 18, 2019. You can acquire your tickets four different ways. Your Rays Ticket Account allows you to manage your tickets from one location on RaysBaseball.com. Digital Ticketing, MLB Ballpark app, and printing at home are other ways you can get your tickets. You can also book an appointment with a Tampa Bay Rays representative, and they'll be able to help you discuss your ticketing options. For the Tampa Bay Rays' regular season home schedule, general parking will be from $15 to $30 depending on the game and the availability. Complimentary parking is available in lots 2, 6, and 7 for vehicles with four or more passengers for all Sunday games. There's also a limited number of prime parking areas; by visiting Raysbaseball.com/parking you can reserve your spot. Accessible parking is located in lots 1 and 7. Their Baseball Looper Trolley operates from 90 minutes before game time, throughout the game, and after the game is over, returning every ten minutes. It's free and for select games only. The trolley picks guests up on Second Street South between Central Avenue and First Avenue South. Charter buses can drop guests off along 4thAvenue S. near Gate 3. Buses can park for free on 2ndAvenue S. between 9th and 10th Streets. RVs, campers, and large vans aren't permitted to park overnight on Tropicana Field Property. Season ticket holders can purchase reserved and or discounted parking packages that go along with their Season Ticket schedule in lots 2 or 6 depending on availability. The drop-off area for taxis and Uber is on Tropicana Drive in front of gate 4 and pick up is on 16th St. South of 4thAve S. This area is also designated for guests with accessibility needs. With about 90 different concessions stands, you'll be overwhelmed when choosing what to munch on as you watch an exciting Tampa Bay Rays game. All the levels of the field have many different options. You'll find pizza, burgers, craft beer, cheesesteaks, pretzels, tacos, and more. RumFish Grill, Sausage and Peppers, Ybor Cantina, and Pig Out BBQ are just some of the food places in the extensive list of food options Tropicana Field has to offer. This year, the park added 13 new options! These are: Rays Grab and Go, Southern Fried, Cubanos, Crabby’s Beachside Bites, Bud Grill Cart, Pacific Counter, Lead Off Wok, Sweet Stack Shack, Wash Off Tacos, Carve Em Up, No Vacancy, Melted Grilled Cheese, and Left Field Ledge Bar. If you're vegetarian or allergic to gluten, don’t worry because there are plenty of options for you! You'll be able find vegetarian options in these locations: Central Burger, Veggie Burger, The Outfielder Bar & Grill, Impossible Burger, Grab $ Go, Grilled Veggie Sandwich, Melted Cart, and Grilled Cheese. All the gluten-free options are Lead off Wok, Chicken Sate, Chicken Sate Rice Bowl, Smoke and Pour, BBQ Spare Ribs, Cubanos, Ropa Vieja Bowl, Walk Off Taco, Carnitas Tacos, Elote, Pork Rinds, Pacific Counter, and Sushi Bowl. Avoid all the pre-game hassle and stress by following our guide to watching Tampa Bay Rays games. For more information, you can visit Raysbaseball.com, and find more things to do in Tampa Bay by registering on 813area for your free local guide to the area.